You can now embed tracking scripts like Facebook pixels and Google Analytics code directly into your lightbox opt-in form states. That means you can now use a switch state action as your conversion event! Of course, you’ve always been able to setup conversion tracking scripts in Thrive Leads, but were limited to placing your scripts only on actual posts or pages. 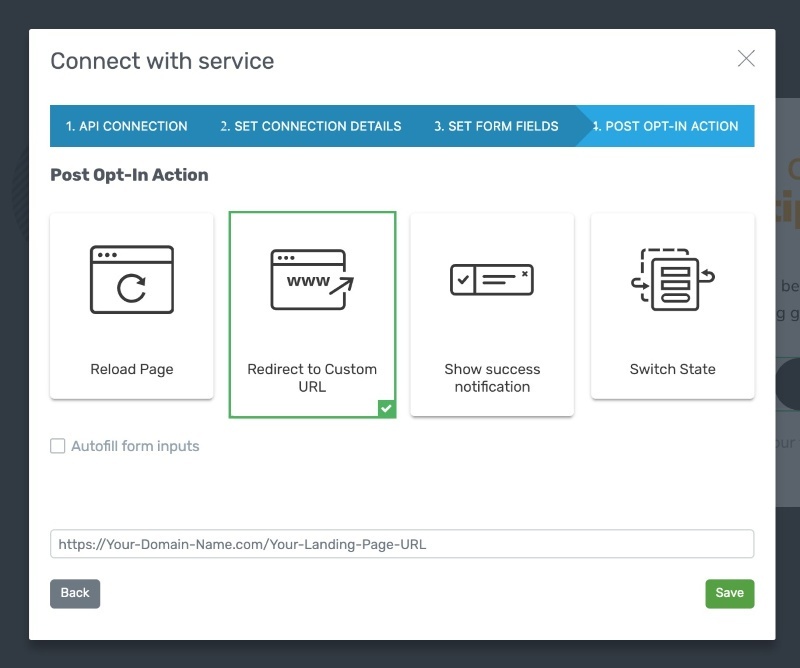 The "Redirect to Custom URL" post opt-in action used to be the only option you had for deploying Google Analytics and Facebook pixel tracking scripts with your Thrive Leads lead gen forms. You would embed your tracking code on the page you redirected to. After a visitor subscribed, they would be redirected to this new page (usually a Thank you page) and this would fire the tracking script. Ultimately, this limited the available post opt-in action choices for advanced users. So what can you do now that you couldn’t do before in Thrive Leads? You’re gonna love this… you can track lightbox switch state actions as your conversion event! To do this, you just insert a Custom HTML element within one of your Thrive Leads lightbox states so that either the loading of a default lightbox state, or the action of switching to a non-default lightbox state executes your tracking script. So you’re ready to put this new conversion tracking feature into action, huh? Well okay then. Let’s start by loading up a multi-step lightbox template in Thrive Leads to show you how it all works. The "default" state for one of our Thrive Leads opt-in form "Round Image" templates. Notice that this first or “Default” state is just a simple lead generation form offering a freebie to visitors if they sign up to your list. Now, if you want to, you can drop a Custom HTML element directly onto a default state and then paste your tracking script in that. But if you do that, the code will execute whenever the lightbox loads — even if your visitor doesn’t convert and simply closes the lightbox. So say your visitor follows through and subscribes to your list through the lead generation form example I just showed you. A Thank you "non-default" state you can setup within one of our Thrive Leads opt-in form "Round Image" templates. This non-default state — called “state 1” in the editor — is where you’ll most likely want to place your tracking scripts since visitors won’t be able to load it unless they actually subscribe to your list (a.k.a. the conversion you want to track). A Thank you state with the Custom HTML element added as viewed from the Thrive editor view. Now, because the Custom HTML element does mess with the positioning of your other elements on the form, take that into account when building out your design. The view of the same Thank you state shown above, but as seen from the frontend that your visitors will see. You can also play around with negative margins to help eliminate the design interference of your Custom HTML element, but notice how the actual tracking script is invisible when displayed on the frontend to your visitors. Note: If you just place normal text within your Custom HTML element without the proper HTML tags, the text will show up on your form! Are you ready for this, ‘cause it’s super simple! This is what the "Insert Custom HTML into the Page" lightbox will look like when it appears after inserting your Custom HTML element. Now, if you did add your Custom HTML element to your default state, then the only thing you’ll have to do is add your tracking script — there won’t be any other options available to modify. 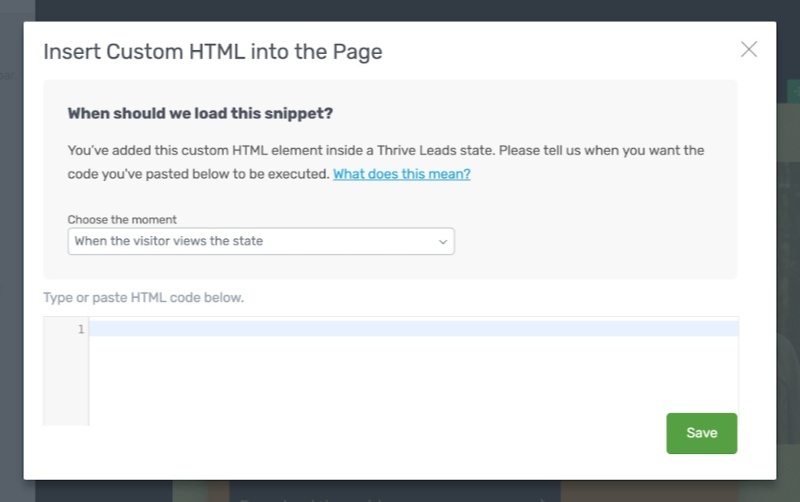 On page load — your script will be executed/loaded immediately when the Thrive Leads form is loaded on the page. When the visitor views the state — your script will be executed/loaded anytime a visitor does something on the page that makes the non-default state active. You’ll want to select the second option if you’re trying to track the conversion through a lightbox switch state action. Finally, just insert your tracking script in the “Type or paste HTML code below” area and click save. You may have more complicated tasks to complete on the Google Analytics or Facebook Ad side of things to get your custom conversion tracking working, but your Thrive Leads lightbox form will ready to go. Need more help with this feature? Check out our in-depth "How To" article on how to use the new and improved Custom HTML element over in our Thrive Knowledge Base. Are you at a point where it’s time to take your analytics game to the next level with advanced conversion tracking scripts? If so, give this new Thrive Leads conversion tracking feature a try and let us know what you think! P.S. You might have noticed that this is an improvement to the Custom HTML element, which means that this is available in Thrive Quiz Builder too. If you want more information on what that’s all about and how to use it, you can visit this Thrive Knowledge Base article. Otherwise, keep an eye out for Part 2 of this article where we'll discuss how to use this new Custom HTML feature to make your quizzes an even more powerful online marketing tool! Great new feature! How could this work with Google Tag Manager? Many people use GTM to consolidate all of their tracking / conversion pixel code. This is the same thing I was thinking Chris. This is great for one off tracking and I can see this being used with some of our smaller clients. For larger or more experienced clients that use GTM it would be great to know how to get this to work. Thanks for your comment Mical. An advanced integration with GTM is on our development roadmap. Yes, I would be interested too how to implement this with GTM. Thanks Chris! And as for GTM, an advanced Thrive Themes integration with it is on our development roadmap. I usually use an onclick event element to the submit button to track conversions as an event in GA. So what kind of code do I enter in the Custom HTML to track conversions in GA? Thanks, Matt, this is very good but will it be possible to create a video explanation? Cheers Bertie! We’ll add a video explanation to the post for you soon. Cool! Thats a good and useful feature. If you could enable this feature also for the default state I would be really happy. Because then I could insert a facebook pixel which fires when the lightbox is visible. Good news Nico because you can already do this! If you embed the Custom HTML element on your default state then your script will execute when the lightbox loads. This is an awesome feature, no longer do I need to create a thank you page just to do this! Thanks Matthew… that’s exactly what we had in mind for you! This is a great step in the right direction, thanks for adding! Would love to have the ability to define conversions as button clicks (that lead to a separate page) as an alternative option to switch states or opt-ins. Thanks Benji! Rest assured that the button click conversion event feature is on our development roadmap. 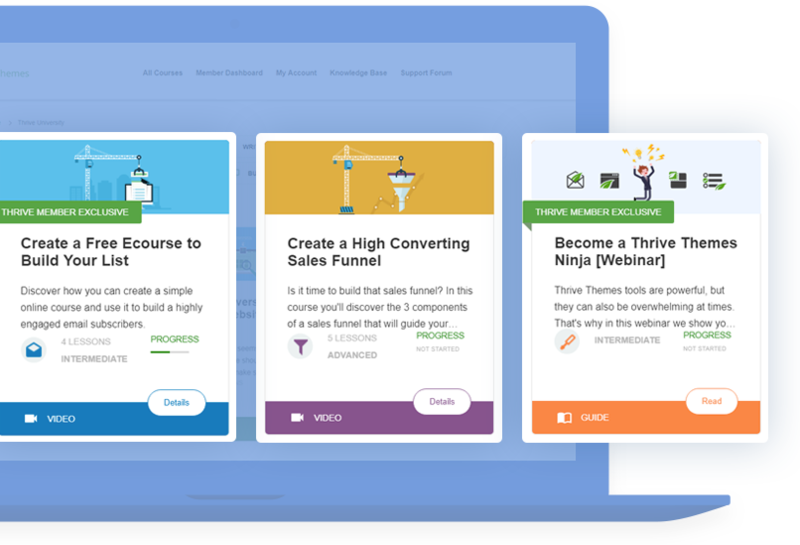 This is a cool development, but there’s a conversion component of Thrive Leads that is still missing that I requested a while back — and I remember I wasn’t the only one. I want to be able to define a button click as a conversion within Thrive Leads. For instance, I’d love to have a ribbon with only a button that leads to a page. Every time that button is clicked, I’d like to consider it a conversion event and that it be tracked as a conversion in Thrive Leads. Martin, I think GTM can track button clicks as conversion events. You need to give the buttom a CSS ID and then track the click of a button with that ID on your domain. I can’t explain more, but google should have more help on this. Hi there, how do I track a button being clicked using facebook custom events? Are you planning to create a video version of this post to demonstrate the new feature? I would find that very helpful. Thanks! We’ll add a video explanation to the post for you here pretty soon Randal. Great! And thank you for the very quick reply. How interesting to see this today! I just figured out how to do something similar myself last week in Quiz builder. I embedded the tracking script in the Results page of the quiz. This as needed because there is no separate Thank You page after the quiz. Hey Gregory, so Part 2 of this article is going to cover all about how this new feature applies to Quiz Builder. Look out for that in the next week or so! Awesome addition! Same as a few comments – want to know how to work with GTM. Thanks David! We’ve got a big GTM integration for the Thrive Themes suite on our development timeline. This is a great feature. You definitely need a video to walk through this feature. I’m still waiting for you guys to allow us to use thrive leads to track other types of action as a conversion in the thrive forms dashboard. I use thrive leads as a way to push people to certain pages on my site or external urls. It would be great if thrive leads provided different types of conversion like this to be tracked and not just opt in form sign ups. Because may of us are using it for more than just opt ins and now have to use work arounds to track conversion like internal and external page visits. A video walkthrough should be added to the post in the next few days. Additional conversion event tracking features like button clicks is on our development roadmap so it’s on the way… will just take some time to deliver. Glad to hear it Ariane! Very nice step forward. Also count my vote for button clicks as conversion events. Please keep the marketing features coming. I love the design stuff, but the marketing functionality needs to keep pace with other tools. Is there a way to put a tick box that can be checked in there? It would help with segmenting and monthly subscription compliance. Thanks for this added feature either way. Is it possible to trigger a facebook custom event with a “on click” ? I tried to add it to the source code, but I saw that the button has another name and I didn’t want to mess the things. There is one thing I really miss from Thrive Themes – the API integration with WooCommerce, so that I can sign people up for my store directly from a Thrive Leads form. This would also make a lot of different payment options available.